** SPOILER ALERT ** This is my second read of the series and this book, and I have to say that reading it a second time has changed my mind about almost everything. 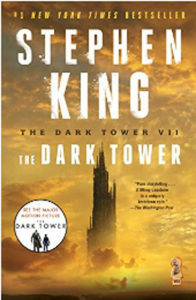 After reading book 7 of the Dark Tower the first time, I was left with a feeling of real anger and only two images: one was a skyscraper in Manhattan with a single rose in a roped off area in the lobby, the other was a giant field of roses surrounding a distant and dusky edifice. Those are fabulous images, but they are hardly enough. This book is so rich with imagery that you could read it for nothing more than the pictures it paints (both beautiful and horrific). The two images that I couldn’t get out of my mind were only a small part of the illustrated book I pictured the second time through. 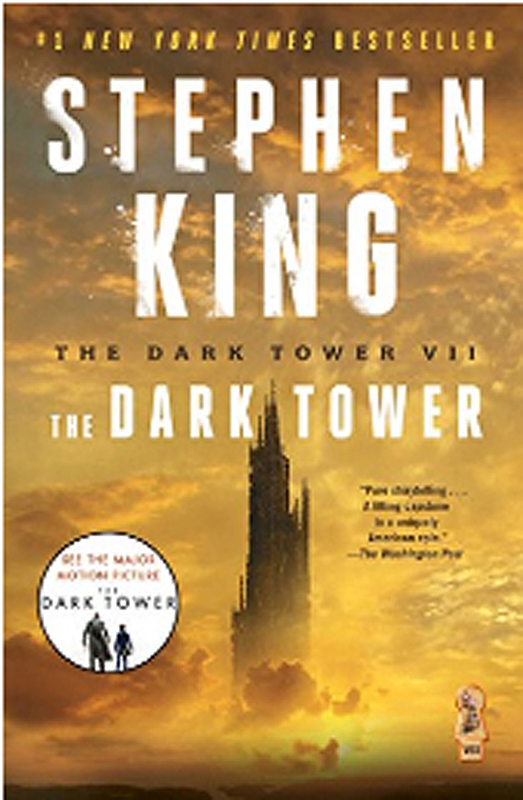 The Dark Tower 7 is, in fact, an exercise in boundless imagination, and King holds nothing back. He gives us human monsters with rodent, bird, and insect heads straight out of Hieronymus Bosch. There’s Mordred – a creature sometimes boy sometimes spider who stalks Roland and his ka-tet through almost the entire story. There’s the now-mad Crimson King who battles Roland from the tower itself. In fact, there are a dozen battles and skirmishes described with thrilling and bloody accuracy. As I neared the conclusion of the book and the series I was surprised at how King had educated me: in his vision, in his worlds, in his new/old language, and his original concepts. A thousand pages, yes, one of King’s most potent epics. But read it twice… with maybe a few years in between. And count yourselves lucky that you get to read it at all. There were so many readers begging King to tell them how he would end the series. (King recounts how dying cancer patients wrote to him pleading for the conclusion.) But he couldn’t answer them. He didn’t know himself. And then he was almost killed in an auto accident which might have left it all incomplete. But he wasn’t killed (for magical reasons explained in this book). And now we know what happened. It’s a book that may take a lifetime to understand and digest, but it’s well worth the effort.